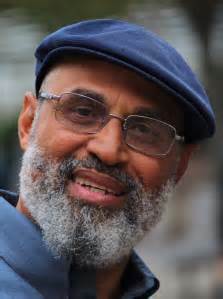 Tim Seibles’s books include Hammerlock and Fast Animal, a finalist for the National Book Award. For more biographical information, see the interview with Tim Seibles in this issue. I kill myself asking what’s wrong with this place? Who says what I think is a matter of taste? Is all of this really a matter of taste? Villanelles are hard, and though this one stretches the form, I like it. I like the middle rhymes on “un.” It’s such a deceptively light syllable, but serves well for this poem’s dark turn. Also, I enjoyed the “Star Trek repeats” line.